What a assume year 2018 was, don't you agree! Our team would like to thank all our customers for this year full of small sheet metal projects for everyone. We are looking ahead to 2019 and can already promise some big things are coming. We will add additional functionality to our online configuration process, allowing you not only to specify the size of your chosen shape, but also to add cutouts like holes to your configured metal part. So now you can add holes to your corner guard or a drain hole in your metal tray all in one step. We will also give our website a new look and feel. 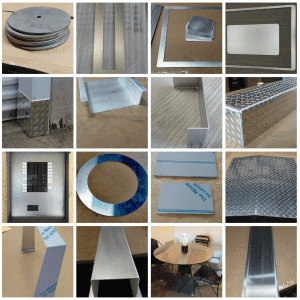 December 22, 2018 | Tags: sheet metal, corner guard, Merry Christmas, New Year 2019, metal tray.